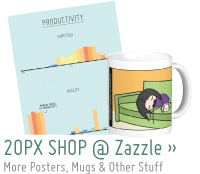 ← Prev: Do the Thing! 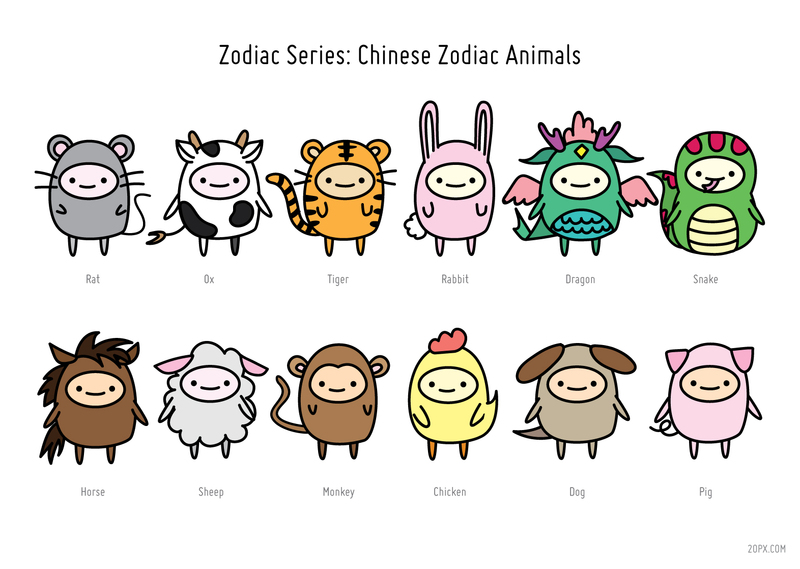 I really wanted to do something Zodiac related and thought it might be fun to combine both the Chinese zodiac animals and astrological star signs somehow. 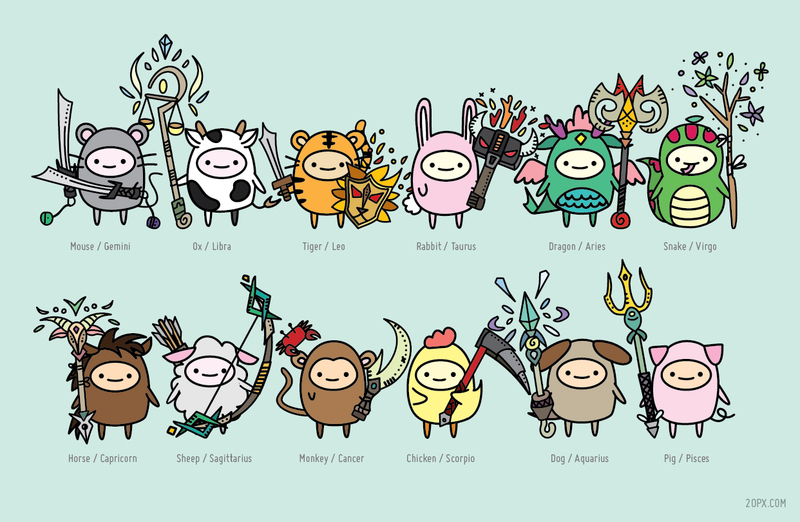 I ended up drawing the Chinese zodiac animals holding objects inspired by the western zodiac signs. Which animal are you? I’m an ox. Mooooooo! 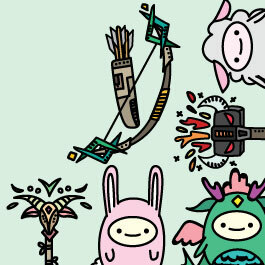 Somehow all the “objects” turned into weapons. Haha. 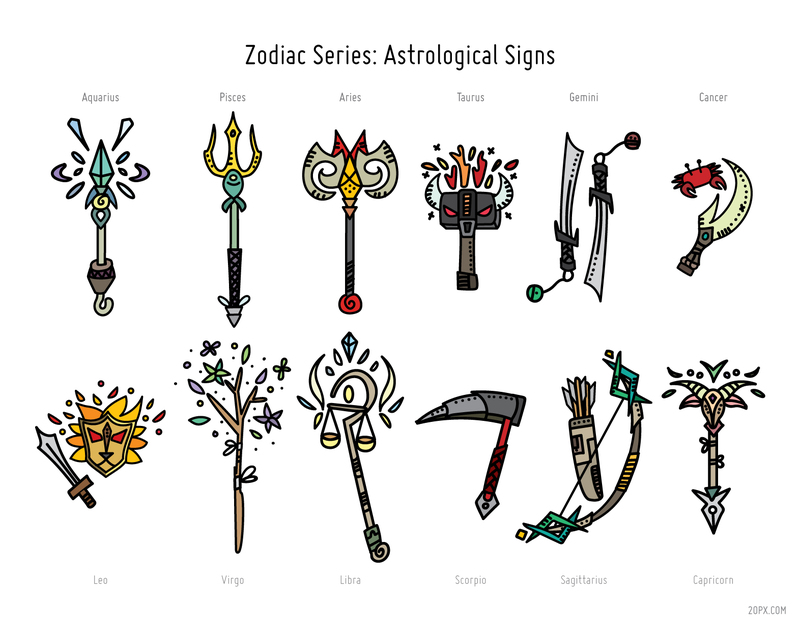 I’m a Libra :) Hopefully you like how your astrological star sign weapon turned out. And finally, I combined them! You got my combo – Monkey/Cancer. Looks great! I’m excited for eventual rabbit/virgo!